Our little ‘mama’ Hailey. Most of the time, Hailey is attached to our hips. Literally… we shower, she sits at the shower do, we do crunches (not as often as we’d like) and Hailey is sitting there to support us with kisses each time we finish a crunch.. but then there are the rare times that we catch her slacking on the job… like this one. Hailey is quite active, if shes not attached to our hips she is busy hunting, lizards of course. 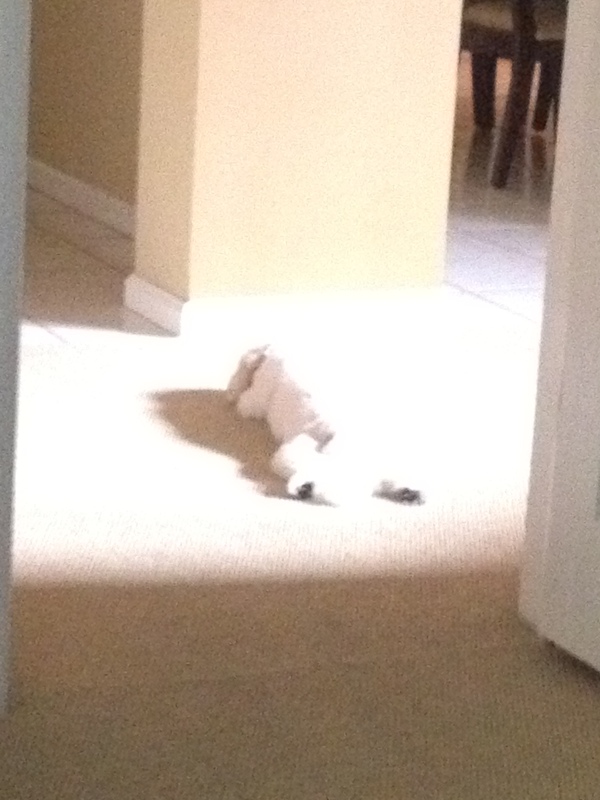 When she crashes though, she must always find the light that warms the carpet. THAT is where she parks it!